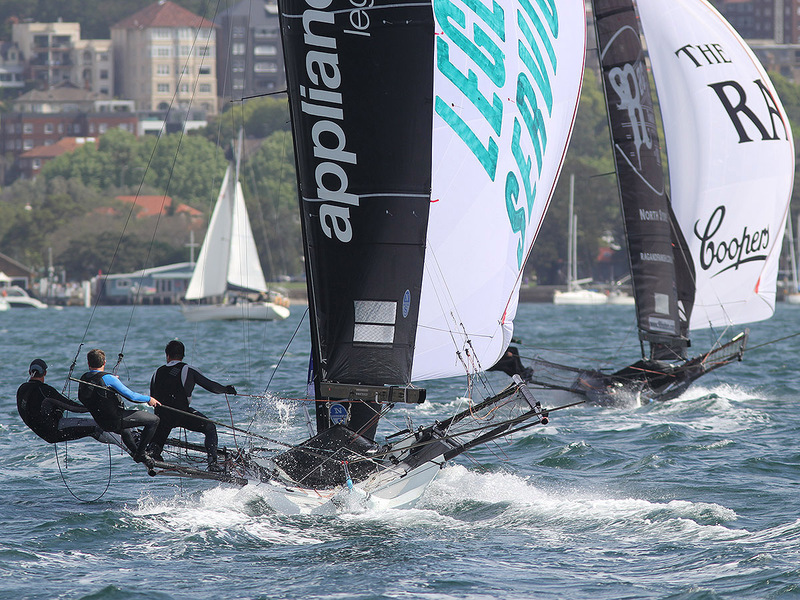 The Australian 18 Footers League’s 2018-2019 Season got off to a great start on Sydney Harbour today when the Sean Langman led Noakesailing team took out Race 1 of the Spring Championship, which was sailed in a 14-17 knot North East wind. 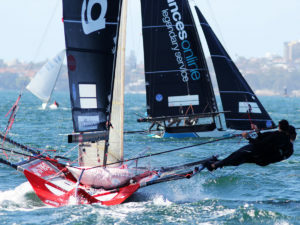 Langman and his crew Ed Powers and Nathan Edwards, came from behind on the first lap of the course to defeat Bing Lee (Micah Lane, Mark Kennedy, Dave Slennett) by 1m35s, with Finport Trade Finance (Keagan York, Matt Stenta, Charlie Gundy) a further 1m21s back in third place. 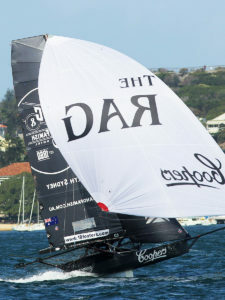 The early race leader Rag & Famish Hotel (Bryce Edwards) finished in fourth place, followed by Vintec (Kirk Mitchell) and Yandoo (John Winning). The lead changed numerous times on the first windward leg to the Beasel Buoy with Lumix (Tom Anderson), Appliancesonline.com.au (Brett Van Munster) and Asko Appliances (James Dorron) all sharing the honours. 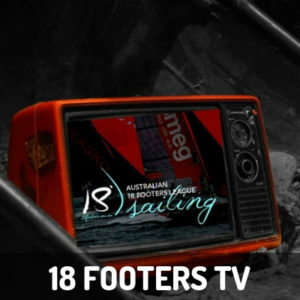 The first set of 3-buoy marks changed the order when Rag & Famish Hotel took advantage of her red buoy mark rounding, although Appliancesonline was only a few secs, behind in the chase downwind to the wing mark off Shark Island. 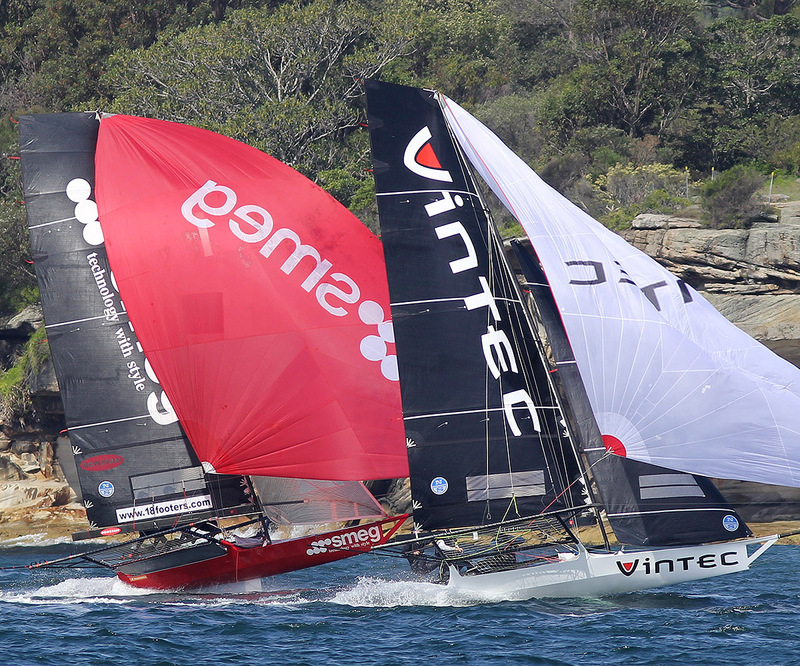 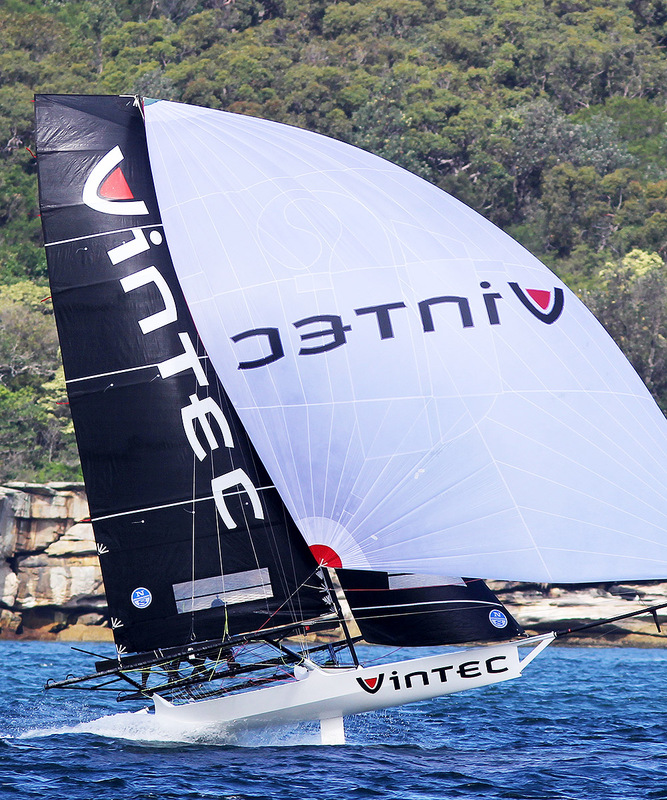 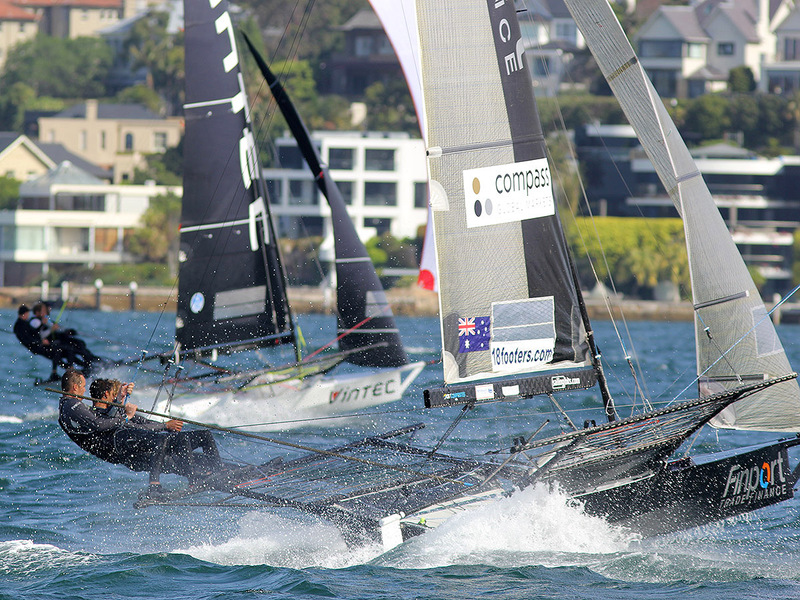 Bing Lee and Finport was neck-and-neck in the battle for third place, followed by Noakesailing, Lumix, R Marine (Simon Nearn) and Vintec. 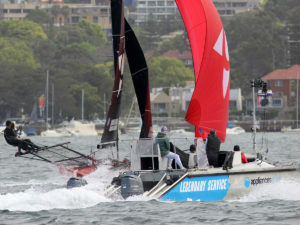 The fleet produced plenty of action for the spectator fleet on the long run past the wing mark and down to the bottom mark back at Clark Island. 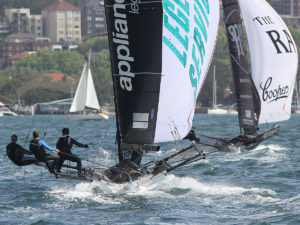 Appliancesonline edged ahead of Rag & Famish Hotel at the wing mark but The Rag was quicker between Shark and Clark Island to again the lead the fleet as it headed back upwind to the Beashel Buoy. 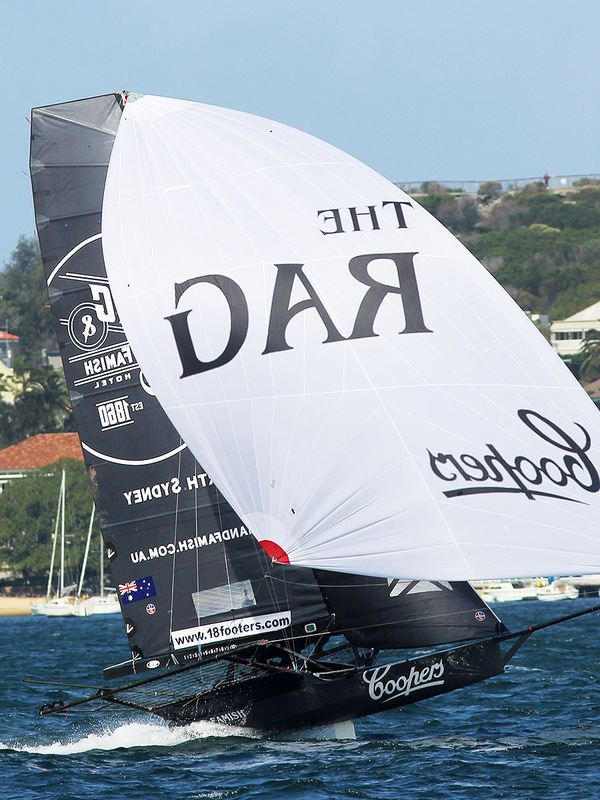 The big improver on the spinnaker run was the eventual winner, Noakesailing which had moved up from fifth to second behind Rag & Famish Hotel. 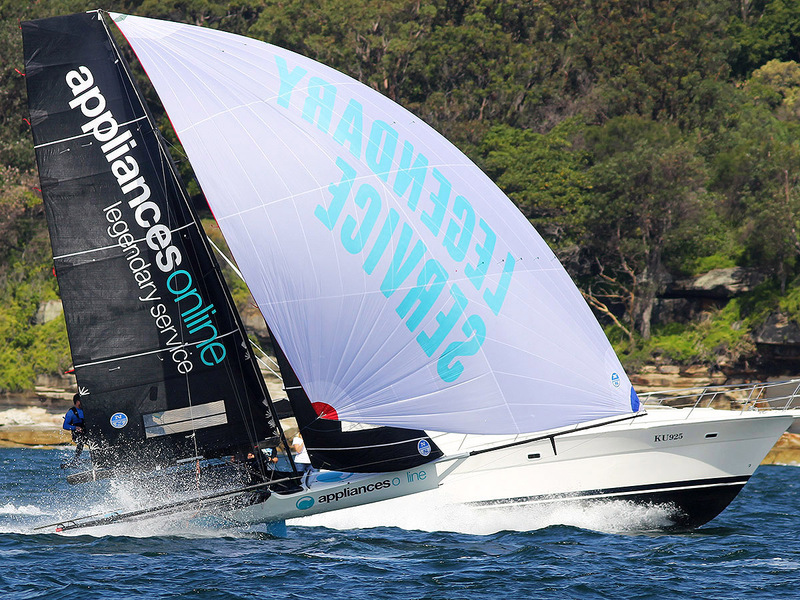 There was less ‘work’ involved on this leg of the course as the breeze picked up a more easterly direction and possibly eased just a touch. 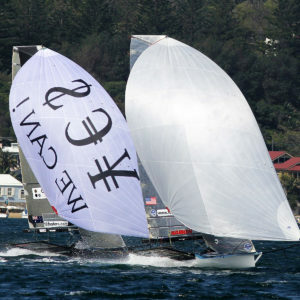 The Rag and Noakesailing produced a great battle with only a few secs. separating the two teams as they approached the next set of 3-buoy marks. 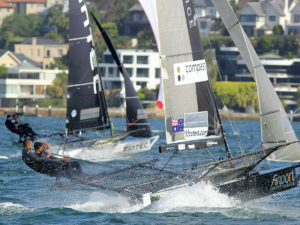 They rounded the buoys at the same time but this time Noakesailing gained the advantage of the handicapping system and took the lead. 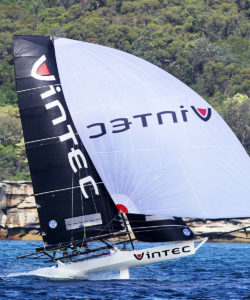 Bing Lee’s experienced crew was also moving steadily through the fleet and had reached third place, ahead of Appliancesonline, Finport and Vintec as the fleet set out for the spinnaker run down the centre of the harbour. 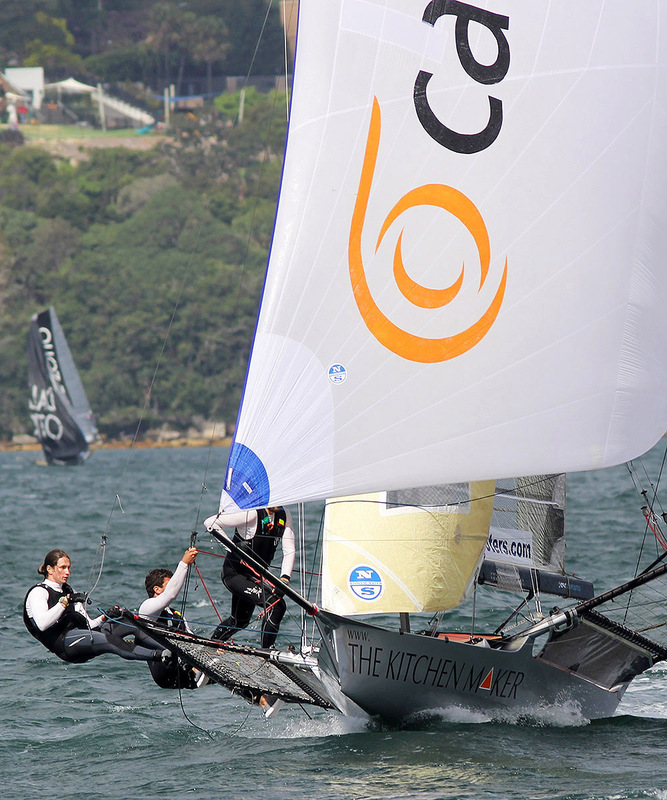 The young Rag & Famish crew continued to pressure the more experienced Noakesailing team but Sean Langman and his team were unstoppably as they completed the final lap of the course to score a clear win. A few problems on the run home ruined a very good performance by the Rag & Famish team, which fell back to finish in fourth place, behind Bing Lee and Finport. The racing for the first day of the season was excellent and it is obvious that this is going to be one of the best seasons for some years. A mixture of experienced and new young teams will make it difficult picking a winner each weekend. 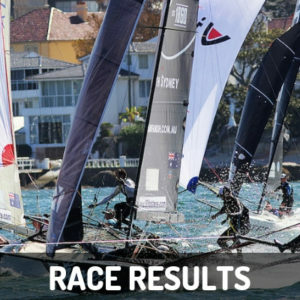 Today’s Result Sheet is attached, along with images from the race. 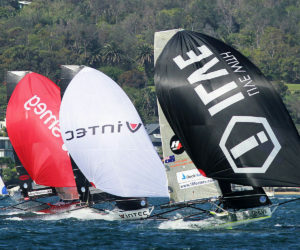 Race 2 of the Spring Championship will be sailed next Sunday. 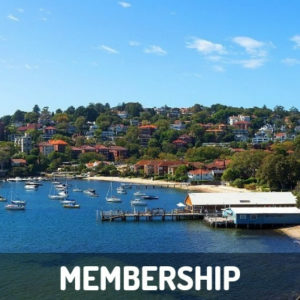 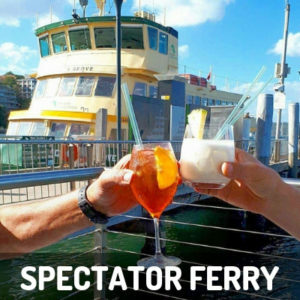 The club’s spectator ferry will follow all the action, leaving the Double Bay Public Wharf, alongside the clubhouse and rigging area, at 2pm.